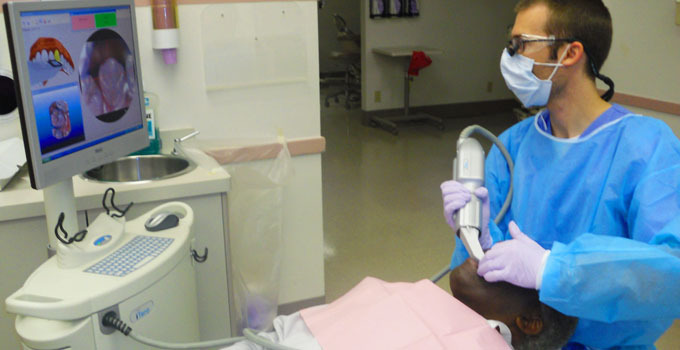 The Department of Restorative Dental Sciences includes three academic divisions: operative dentistry, pre-doctoral general dentistry, and prosthodontics. Operative dentistry is the area of dentistry that focuses on the diagnosis, treatment, and prevention of diseases or trauma to teeth. The division of pre-doctoral general dentistry includes the college’s D.M.D. Student Dental Clinic, where D.M.D. students perform care while being supervised by faculty members. Prosthodontics is a dental specialty and the area of dentistry pertaining to the diagnosis, treatment planning, rehabilitation and maintenance of the oral function, comfort, appearance and health of patients with clinical conditions associated with missing or deficient teeth. For more information, please refer to our prosthodontics care brochure.